Volatility is applied to describe fluctuations of oil prices and it relates to the level of uncertainty in the market. Historic volatility is calculated by the standard deviation of an oil price return series, measured during a certain time frame. Price volatility will stimulate traders to buy low and sell high. In this article you will learn about it and how it influences demand for tank storage. There are other ways to calculate volatility i.e. looking at the daily high and low range of oil prices during a trading session or the estimated volatility of an option (implied volatility). Implied volatility offers an outlook on the expected volatility and is the opposite to historic volatility that looks back into recent history. It is important to understand that there are events that can impact the level of price volatility. When analyzing the Brent crude price and periods of high volatility (see figure 1, orange circles) there are a number of time frames when crude futures prices dropped while volatility expanded. In this chart we have focused on three periods. Early March, US stock reports showed higher-than-estimated builds in American crude inventories which resulted in a collapse of oil prices. In April and May, US crude production rose to record high and worries grew on OPEC members’ compliance to their output reduction deal. Late May, the market reacted disappointed on OPEC’s decision to extend its output reduction deal. In all cases, oil prices showed a steep drop and price volatility grew. In figure 2, these periods could clearly be identified as a high volatility regime. Important for tank storage companies to understand is that in times of high volatility, such as described in these three cases, trading volumes on the paper market are very high. As traders are able to make bigger profits in a high volatile regime when an old saying become reality: ‘buy low and sell high’. Taking into account that every paper position is squared by a physical position, one can understand that also physical trade will increase. More physical trade will eventually lead to more demand for tank storage capacity. 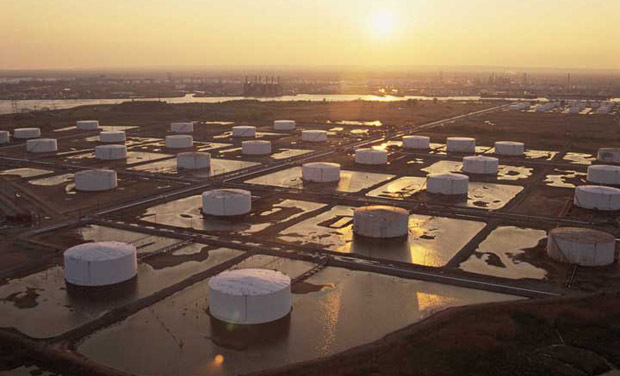 Is price volatility the only business opportunity indicator for tank storage companies? There are other indicators that should be taken into account such as market structure, arbitrage and more. These topics and PJK’s market model will be covered in upcoming weeks.